BARRE-Tenders and Novices are all welcome to join this ALL-LEVEL workshop that'll ensure a complete understanding of all the barre basics, from the "tuck" to arabesque and all things in-between! 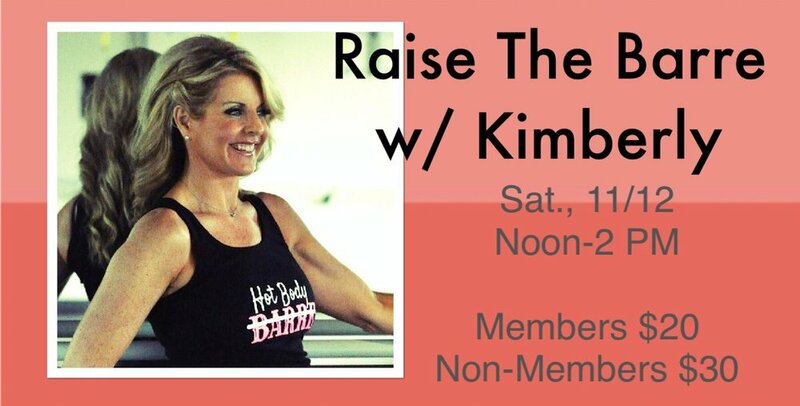 Kimberly will guide you with a balance of fun and wit, information and tips, anatomy and alignment! Don't be a square - meet us at the BARRE! Glow with the Flow! Halloween Night Fun!